Infra-red laser step-heating extraction line attached to MAP Mass Spectrometer configured for Ar isotope analysis. Custom built gas purification extraction line. 110W YAG class IV infra-red laser. 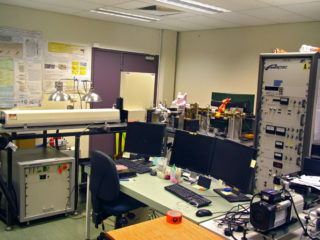 Customised control software for laser and spectrometer. Able to be remotely configured and operated.